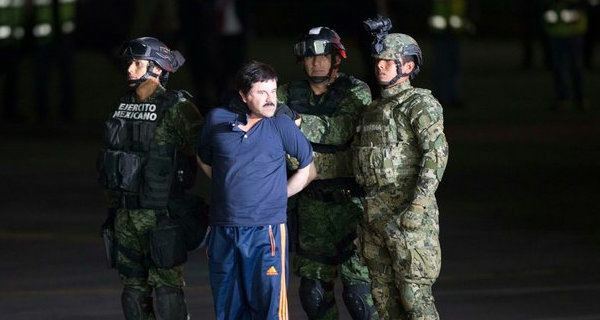 El Chapo's American Prison Is "Worse Than Guantanamo"
“Are you Mr. Guzmán?” the Federal District Court judge, James Orenstein, asked Friday — confirming that the short man who stood before him in blue pajama pants was, indeed, Loera. Better known as El Chapo. “Sí, señor,” the prisoner responded. He was in a Long Island courtroom, surrounded by heavily armed guards, bomb-sniffing dogs and police cars. 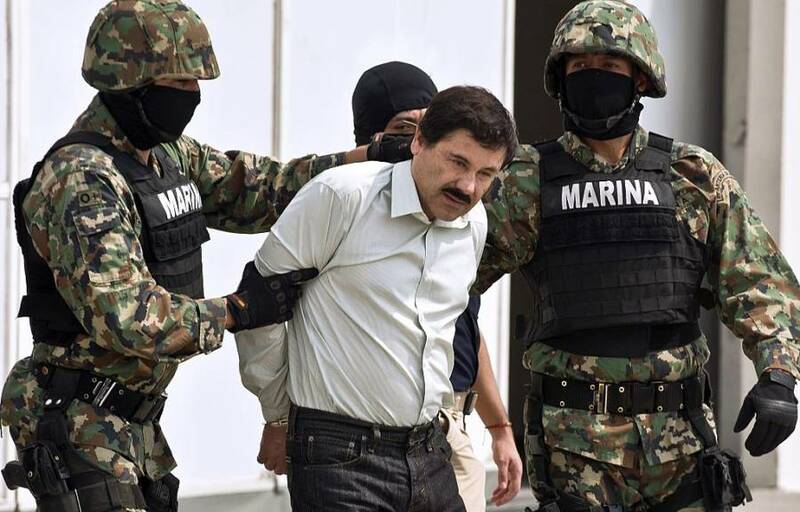 Orenstein asked the man if he understood the charges that he was facing: overseeing a multibillion-dollar drug empire, moving more than 200 tons of cocaine into the U.S., and leading the Sinaloa cartel which has killed thousands of people. “Si, señor,” Guzmán said again. And with that, the world’s most notorious drug trafficker was arraigned. The event was sudden and momentous, given Mr. Guzmán’s successful history of avoiding prosecution by the U.S. government — a government that considers him “the most dangerous and feared” men in the world. El Chapo had been extradited from Mexico on Thursday afternoon, arriving in America on President Obama’s final evening in the Oval Office. Noting the kingpin’s two escapes from high-security Mexican prisons (once in a laundry cart and once through a mile-long tunnel from his cell’s shower), Mexican authorities agreed that it may be best to hand him over to the U.S. after re-re-capturing him in early 2016. But no one expected them to make the move last week. Experts say the decision was probably, in part, meant as a gesture of goodwill toward the outgoing Obama administration. “By not waiting to send him to Trump after his inauguration, it is a subtle statement saying, ‘We could do this for you, too, in the future, if we have a good relationship,’” Jorge Chabat, a security expert, told The New York Times. Guzman is now awaiting his Brooklyn trial in Manhattan’s Metropolitan Correctional Center. People familiar with the prison say there is absolutely no way even the best escape artist could make it out of this one. The cells contain concrete desks, concrete chairs and concrete beds. Metal sheets line the walls, causing prisoners to shiver in the winter and sweat in the summer. The skinny windows are made of thick, frosted glass – offering inmates no views into the bustling city around the 12-story structure. Though three prisoners did successfully escape the center in 1978 by sawing through their cell bars and another made it to the roof a few years later in a getaway attempt involving a high jacked sightseeing helicopter, officials feel confident Guzman will stay put. “I assure you no tunnel will be built leading to the bathroom,” agent Angel Melendez said. His confidence is echoed by prosecutors. Robert Capers, the United States attorney in Brooklyn, couldn’t help but smile as he outlined the government’s extensive case for the press. He is facing a 17-count indictment that includes crimes from 1989 to 2014. Even “Shorty” himself seems to know he doesn’t stand a chance.